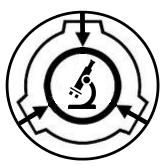 Project Enigma’s full purpose is to find out the meaning behind the "<REDACTED>” that is a result of SCP-<REDACTED>. It is also tasked with finding out the anomalous abilities of the “<REDACTED>” to its fullest extent. The Project is Heavily classified due to the worry of it being a <REDACTED> and will need to be tested further for a proper qualification. Once testing has been completed and the “<REDACTED>” is no longer classified as a <REDACTED> the Project logs will be unrestricted and all information will be open to Research and Level 3 Personnel. Project has been authorized by Director Sobel's and Head Researcher Jarvis's permission. Any personnel with unauthorized information about Project Enigma will be detained and anesthetized. // If the majority of the information is redacted why not make it level 4 and just allow certain personal to view it? // I love the use of the worst word in the SCP universe. // Wow, very good, Bash. This one was informative. // Well no because the clearance level you granted it is Level 3 meaning that all Level 3 personal can view this doc icly and the entire Research branch also has access to this doc. // Well no because the clearance level you granted it is Level 3 meaning that all Level 3 personal can view this doc icly. // Where has Xyz been!!!! // Isn't this the redacted version? // What is even the point of making this thread if any information about it is restricted information. Kind of retarded, don't you think? //Don't be mean to the disabled kid in the class. // Brilliant work you've done here, Dr. Redacted. "I wish to be contacted with SAFE but unredacted version of this document aswell as I want a report of the recent activity of this project by Friday. Failure to do either of these with risk the project with disbandment." While you're at it, give me a declassified copy.